Image by Waldo93 under Creative Commons License. Split, Croatia is known as one of the most beautiful cities in the world, and for good reason. Boasting more than 2,800 hours of sunshine each year, this central Dalmatian city revels as a year-round destination thanks to its subtropical climate and minimal rainfall. Last May, Dave and I spent a week exploring Croatia, with the bulk of our time dedicated to Split. 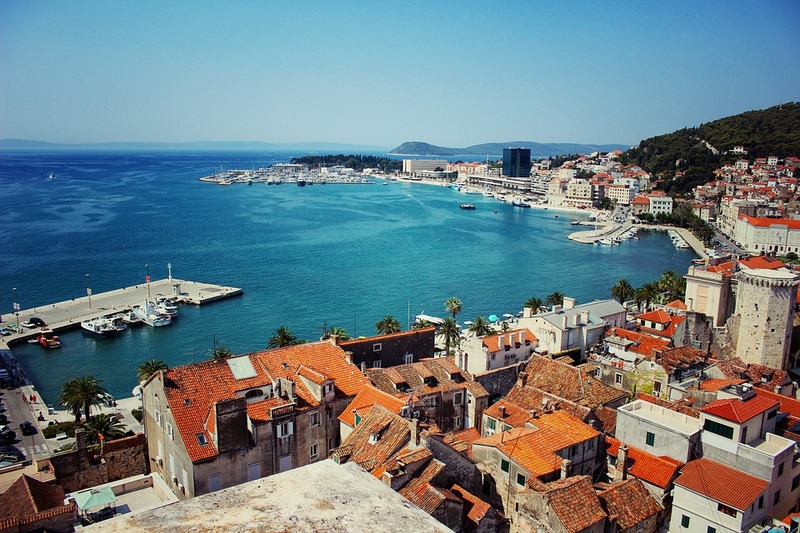 We spent our days wandering the Roman ruins of Diocletian’s Palace, browsing the local produce at the green market, lounging on the beach, and taking in the views from Marjan Hill. We explored, ate and experienced as much of the city as we could, enjoying every single second of our visit. From great food to amazing views, here is the Petite Adventures Guide to Split. After stops in both Zadar and Plitvice Lakes National Park, it was time to head further south and explore Croatia’s second largest city, Split. The easiest and cheapest way for us to get to Split from Zadar was via bus, as trips run frequently throughout the day and week. Once again turning to GetByBus.com, we were able to find a bus that left at a time that was good for us, at a price that couldn’t be beaten. ...... (follow the instructions below for accessing the rest of this article).